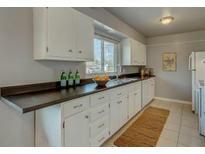 Find Wheat Ridge, CO Homes for sale. View Photos, Maps and MLS Data Now! Walk or bike to schools and shopping. MLS#6256705. Your Castle Real Estate Inc.
Olinger Gardens - Everything is brand new with a true attention to detail. MLS#8755749. Be One Realty. Barths - Schedule your showing today to see all this home has to offer. MLS#6788141. WELCOME HOME REAL ESTATE LLC. Don’t miss this opportunity to live in a chic home within walking distance to neighborhood amenities like Edgewater Public Market, opening summer 2019! MLS#6525858. Brokers Guild-Cherry Creek Ltd..
Easy Access to I-70. See 3-D Virtual Tour. MLS#3635268. RE/MAX Masters Millennium. 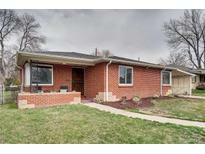 Ridgeview Estates - Great opportunity to purchase a home in this sought-after area of Wheat Ridge. MLS#8962248. D Town Listings. Olinger Gardens - Spacious shed in the backyard allows for ample storage space. Come and see!! ! MLS#7435603. Keller Williams Realty Success. Olinger Gardens - The front and back yards are ready for an easy set up: xeriscape, grass, or both. MLS#3143311. GREEN DOOR LIVING REAL ESTATE. Close to Tennyson; Old Town Arvada; Highlands; Clear Creek Trail. MLS#9191369. HomeSmart Realty Group of Colorado. Olinger Gardens - & new BOSHE dishwasher*Remodeled bath w/granite countertops*Roof 2 years old*New high efficiency furnace and H2O heater*New PEX plumbing*Newer electrical panel and pole*New gas fireplace*Driveway 7 years old*Newer backyard fence w/ alley access, storage shed*ONE OF A KIND "BOTANIC GARDEN" like yard from front to back w/ stone walkways,rock outcroppings, sprinkler system, large water feature, trees, bushes and plants galore, XL rear patio w/ ample seating, (easily maintained & 40K+ on install)*Xeriscaped*front & rear firepits*hard wired outdoor speakers*LG washer/dryer included*evaporative cooler*4K smart TV in an outdoor APALO enclosure with cable attached(at $2,750 installed)NOT included but negotiable*A short walk or Uber/Lyft to Sloan's Lake,Old town Edgewater,Highlands Square &Tennyson St. 1 car garage w/storage*Insulation added to attic at R49 value! This is the one! MLS#2429505. HomeSmart Cherry Creek. Awesome location just over Sheridan in Wheat Ridge -- This home in Highlands would be 1.3 mil - take advantage of the hop, skip, and jump to the next equity rich neighborhood of Olinger Gardens in Wheat Ridge Colorado. MLS#8761701. Mann Real Estate. Olinger Gardens - Showings will start on Saturday 4/13/19. MLS#2470714. Keller Williams Realty Downtown LLC. You can't afford to miss this one. Come see it! MLS#4092707. MB CC and Company LLC. Easy access to I70 and by the new Light Rail Station! MLS#5282069. Keller Williams Realty Urban Elite. You simply must see this home in person to appreciate it. MLS#5532283. Seven6 Real Estate. You won’t find another home like this in the area! MLS#8730536. LIVE URBAN REAL ESTATE. Columbia Heights - Walking distance to restaurants, coffee shops, and parks. No HOA fees! MLS#8918454. GREEN DOOR LIVING REAL ESTATE. Don't miss on this quintessential family home! MLS#4595247. Compass - Denver. Applewood - A perfect set up for an empty nester or family with teens. MLS#6079275. The Devonshire Company. Wadsworth Corridor - Lounge in the sunroom or by the gas fire pit on the back patio—enjoy nearby Clear Creek Trail, restaurants and shops. Welcome home! MLS#7120756. West and Main Homes Inc. Basement could be used as 3rd bedroom or TV room. Water well on property. MLS#5818949. Modern Real Estate. Don't wait on this home, it will not take long for someone to fall in love with this Wheat Ridge Gem. MLS#9831755. RE/MAX Masters Millennium. Vista Ridge - Hurry!! This One Will Go Fast!! ! MLS#7118698. Colorado Premier Properties. Easy access to downtown and all highways. Close to Highlands. MLS#8825412. Elevate Real Estate.